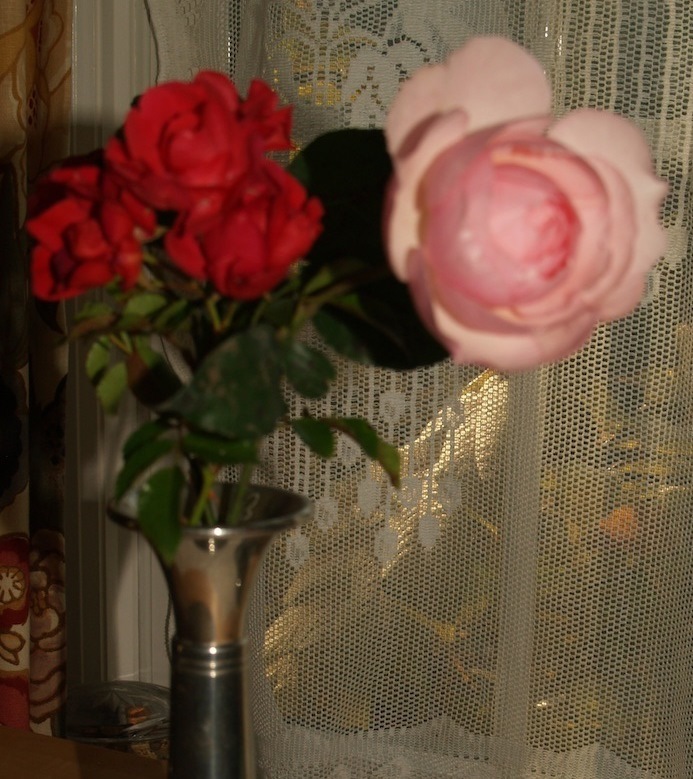 It is the bittersweet change of season and here is the last rose from my garden, a David Austen “Heritage” (I don’t count the ever blooming shrub roses for some reason….). I love the change of seasons. The days are warm, and the sun on my skin feels almost like summer, ‘though by late afternoon there is a chill in the air that clearly means summer is gone…long gone. Yesterday and today I stood for a while in a blizzard of yellow leaves swirling all around me. Fall is festival time, and last weekend was “Lace Day” for the Metro Chapter of the Intenational Old Lacers. 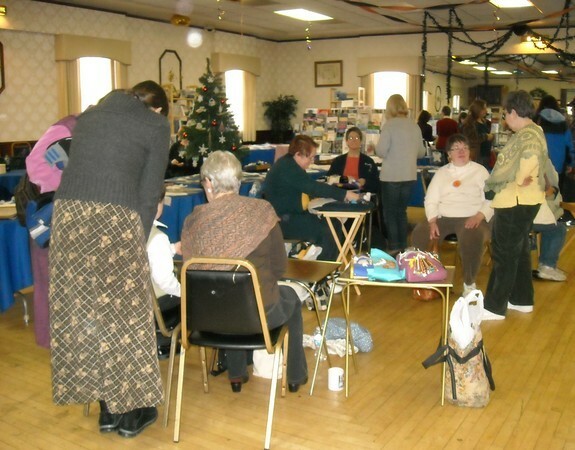 There were demonstrations, vendors and classes! This group (of mostly, but not entirely, women) proves that lace making is not a dying art. Their knowledge is legendary: they can tell the difference between Torchon, Milanese, Honiton from 20 yards (not to mention about a dozen other types of laces), and they have strong preferences about bobbins: midlands, bayeaux, honiton…again, more names than I can keep track of… The vendors had some beautifully painted bobbins and other tools that were as pretty as the lace itself. This is just a small portion of what was on display during the event, all made by members of this group. 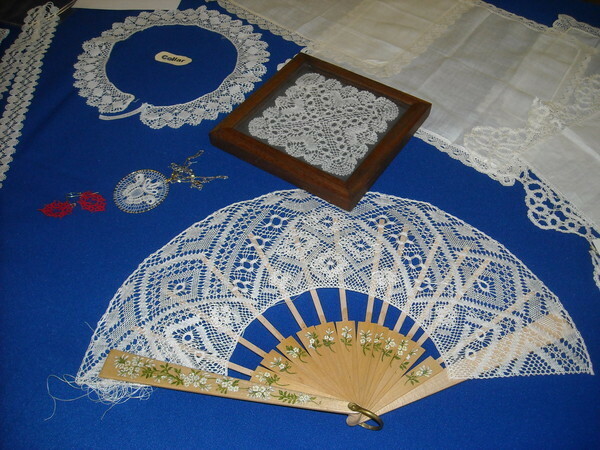 These lace mavens do demonstrations all year long, at historic sites and local libraries. Somehow they manage to talk to people as they work. Impressive! Making a lace border for a handkerchief has been my goal since my first lesson. Now I’m there! This entry was posted in bobbin lace, inspiration, Lace. Bookmark the permalink.